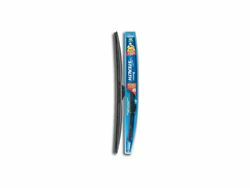 The Michelin Stealth Wiper Blade is a hybrid blade between a conventional wiper blade and a beam blade. The Stealth combines the best features of both blades. 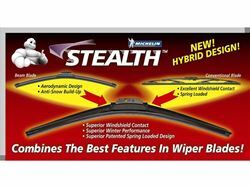 With Superior windshield contact (27% more contact) and winter performance the Michelin Stealth Blades are the only blades to use for your vehicle.